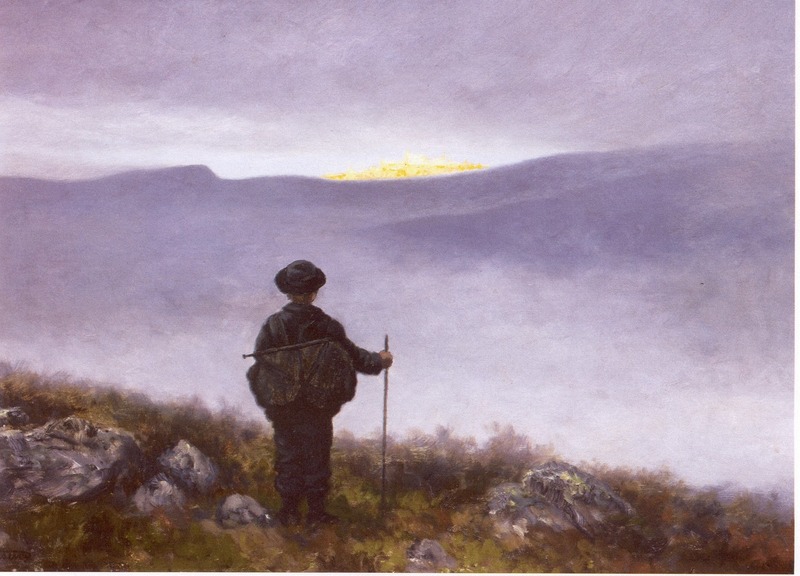 Soria Moria Castle, by Theodor Kittelsen. Wikimedia Commons. Finally, time for another painting! It's been a while, and this time I've chosen one where architectural forms are just hinted at, instead of being worked out in detail. I still find it to be an alluring and beautiful picture, which evokes many images in my mind. The fairytale of Soria Moria Castle is one of the most poular Norwegian folk tales, and has triggered the imagination of artists through generations, especially since its publication as a part of Asbørnsen and Moe's collections of folk tales in the mid-19th century. Read the entire story here. PS. Although the story doesn't involve any dwarves, it's supposed to be the source of Tolkien's name for Moria, the dwarf-kingdom of Middle-earth. Do not trust this information.